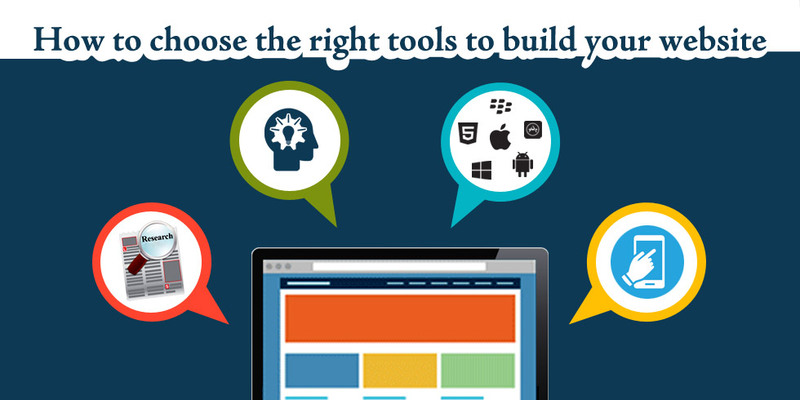 How to choose the right tools to build your website? If you want to create a website on your own – rather than hiring a designer – it’s easier than you think. It’s really just a matter of finding the right tools. So, you want to build your own website, do you? I can help with that. While it’s generally a better idea to hire on a designer, if you’re new to the world of website creation, it’s certainly not impossible to do it alone. At the end of the day, it’s really just a matter of finding the right tools. That’s where I come in. I’m going to walk you through the process of selecting the toolkit you need to design a smashing site. Let’s begin. There are plenty of others, of course. Have a look around, and see if you can find one that works for you. While you’re at it, you might as well try to pick up a language like HTML5 (though that’s not strictly necessary). Once you’ve squared away the basic tenets of web design, your next step is to determine the kind of website you want to build, as it’s going to have an impact on the tools you end up using. See, while you can certainly use WordPress to build a site driven by user content or a digital storefront, that doesn’t mean that it’s the best tool available to do so. Determine what your goals are for your site, and what sort of experience you want your users to have. That’ll help you work out which platforms will be the best fit. How much do you know about web design at this precise moment? How much did you know before your research? Have you ever built a website before, or is this your first one? How comfortable are you with a content management system like WordPress? See, even more important than what type of site you want to build is your current level of expertise where web design is concerned. You probably won’t be using a CMS like Magento or Drupal if you’re a complete novice. By the same vein, you might find Weebly, Sitey, or SquareSpace a bit too simplistic for your needs if you’re a veteran. Be honest with yourself, and think carefully about how much you can actually do – otherwise, you might wind up getting stuck with a development platform you’ve no idea how to use. I’ve saved the most important consideration for last – what you’re comfortable and/or familiar with. If you think WordPress is more your speed, use that. If you’re the type of person who’d prefer mucking about with HTML to using a CMS, that’s what you need to do. Whatever your level of expertise, whatever the site you want to create, go with what you know you can use – otherwise, you’re probably just better off hiring a designer. And there you have it! That’s all you need to take into account when figuring out your design tools. Now get out there, and make something grand.